Ok, how could I NOT take this one? Now to read the "how-to" paperwork and get started playing!!!! Big thanks to zolzer for the sale. I know I will be picking up some of her awesome roving at some point - it's gorgeous! Yippee! 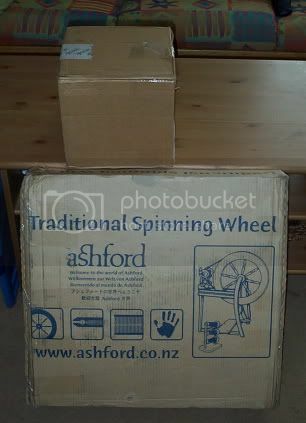 Have fun this weekend...can't wait to see what you spin! Ahem...and remember to share ;) hehe! Wow!!!!!!!!!!!!! I would so love to see motion pictures of you using that thing in action. 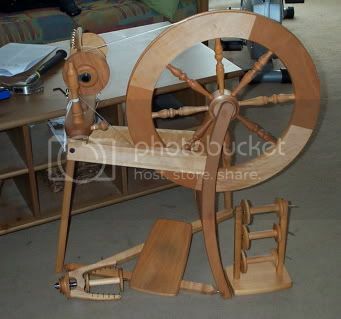 I am totally ignorant to how a spinning wheel actually works. 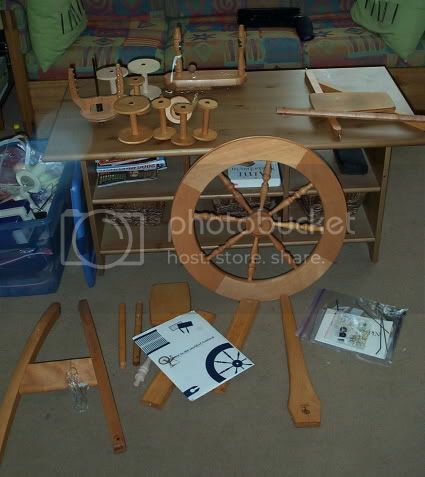 I told a friend of mine, that I was buying a spinning wheel (after reading your blog) just to see her reaction, and she asked where I was gonna keep the sheep? Lol. I told her I was just pulling her leg, but I'm really interested in seeing what you can come up with.